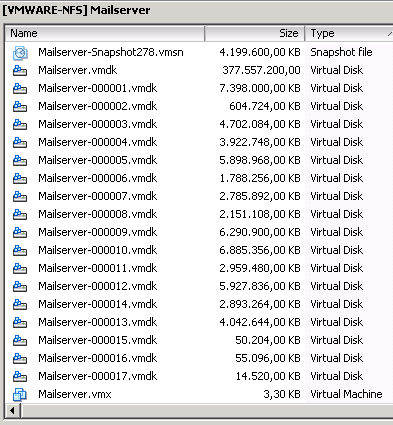 But when I took a look at the datastore folder of this VM in noticed several delta vmdk files which indicates there are active snapshots. The properties of the VM’s configuration also supports this thought. So how to fix this? The most easy way is to create a new snapshot and after creating hit the ‘Delete All’ button (as described in VMware KB 1002310). After I did this a new error pops up; “Unable to access file <unspecified filename> since it is locked”. Why is it locked? Well, you can find out by following the instructions in VMware KB 10051 but I my case it was simple. The customer is using snapshots for backups by Veeam Backup and Replication, so the only one who’s making snapshots is the Veeam VM. The specific job which responsible for the problem VM was crashed and that’s why the base VMDK of the problem VM was still locked by the Veeam VM. 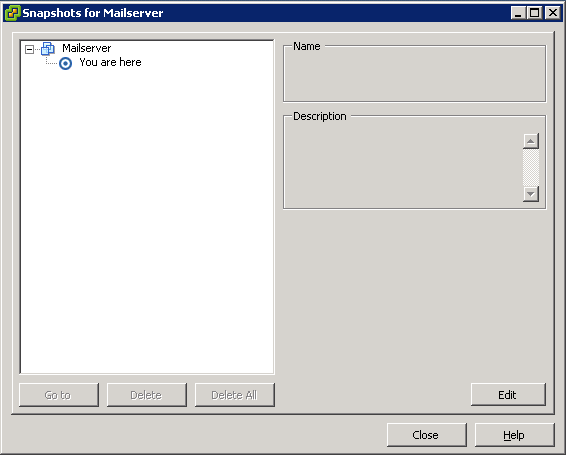 After disconnecting the VMDK from the Veeam VM I was able to create a new snapshot and hit the “Delete All” button to commit the delta-vmdks.